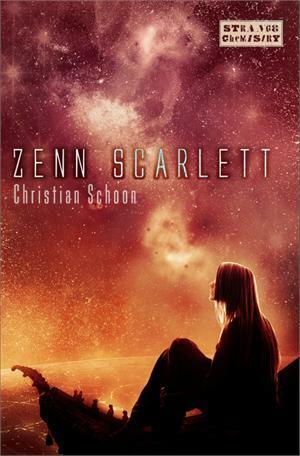 Thanks to Angry Robot/Strange Chemistry for having us on the blog tour for Zenn Scarlett, the debut YA sci-fi novel from author Christian Schoon. Keep reading for a special guest post from Christian! Zenn’s Mars, or: Dude! Where’s My Future? So, we’re way in the future, on Mars, on our way to meet Zenn, a 17-year-old girl in her novice year of exoveterinary training at the legendary Ciscan Cloister Exovet Clinic. You step out of the orbital ferry that just brought you down from your starliner, and find yourself on the outskirts of Arsia City, in the deep end of the sprawling, three-mile deep Valles Marinaris canyon system and, other than the soaring red rock canyon walls on either side of the valley… you are not impressed. Arsia City seems to be a smallish, rather shabby village with a few large, stone-block buildings surrounded by a shanty town of ramshackle little structures, old converted shipping containers and ragged tents inhabited by what look like refugees and hobos. Well, you think, that’s weird. Where are all the soaring, pointy skyscrapers? The gleaming, protective domes? The whooshing, bullet-nosed monorails? And the people! They all look half-starved and hollow-eyed and sorta grimy and… pissed off. Jeesh. Ok, though, things will have to start looking more… Mars-y… out at the Ciscan Cloister, right? I mean, your whole life you've heard that the Ciscans are this advanced group of highly skilled, almost shamanic veterinarians with reputations for being able to practically work miracles when it comes to healing any alien creature of any gnarly alien disease or grotesque injury. So, they’ve gotta have all the cool toys out at the Cloister, all sorts of hyper-tech devices and uber-scanners and levitating hospitals so antiseptic they make your teeth hurt just looking at them. Right? Then you get to the cloister and… no… not so much. The first thing you see is a huge, thick, mud-brick wall surrounding what appears to be a massive cloister compound. Yeah, mud-brick. Inside, things are little more solidly built, but not in the least Buck-Rogerish or modern. The buildings are big and mostly built of sandstone. But they’re looking a little dog-eared. And the smaller buildings are like the shanty hovels outside of Arsia City – thrown-together things of rusty corrugated metal sheets, synthboard planks and patched tarps. When you talk to Zenn or her uncle Otha for a few minutes, though, the truth becomes clear. Due to something called the Rift, the colonies on Mars have been cut off from Earth for several decades. So, no spare parts, no software upgrades, no Earthly food or supplies or tchotchkes of any kind. And, as Zenn explains, the same thing goes for the cloisters medical equipment. The seda-field generator they use to sedate the larger animals is beginning to go on the blink (bad optic relays). The quark-resonance scanner is on its last legs (fused dipole circuitry). And they’re down to the last drum of Epidermis fluid for the protein stitch-gun. May have to resort to actual, old-fashioned plastic sutures before long. Practically medieval. 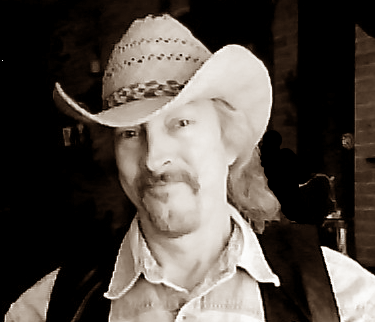 Born in the American Midwest, Christian started his writing career in earnest as an in-house writer at the Walt Disney Company in Burbank, California. He then became a freelance writer working for various film, home video and animation studios in Los Angeles. After moving from LA to a farmstead in Iowa several years ago, he continues to freelance and also now helps re-hab wildlife and foster abused/neglected horses. He acquired his amateur-vet knowledge, and much of his inspiration for the Zenn Scarlett series of novels, as he learned about - and received an education from - these remarkable animals.